The Fenton Art Glass Company has been know for the last century for making some of the finest glass colors around. They have now focused their glass skills toward making beautiful, handcrafted beads. 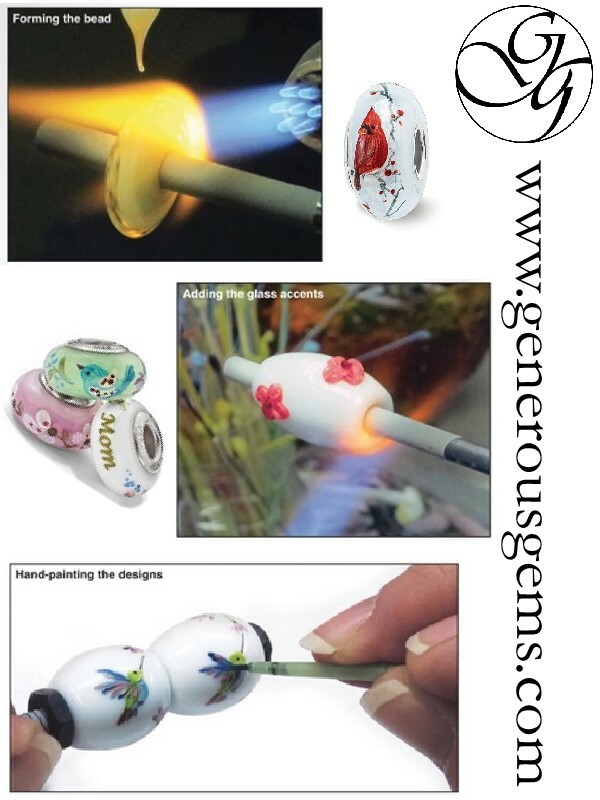 Each glass bead is meticulously hand-painted with a sterling silver core and an end cap on one side. Their glass artists love trying new designs and colors to give each bead that special touch. Made her in the USA, they take pride in the high quality and durability of each glass bead. All beads are compatible with leading brand beads, making this collection a great way to enhance your jewelry pieces, and taking your bead collection up to a new level.